The deep vee profile of the hull creates a smooth ride even in challenging conditions. Twin Volvo Penta D6 series engines and Volvo Penta DPH sterndrives offer maximum speeds of up to 36 knots whilst long range fuel tanks give up to 11 hours range. 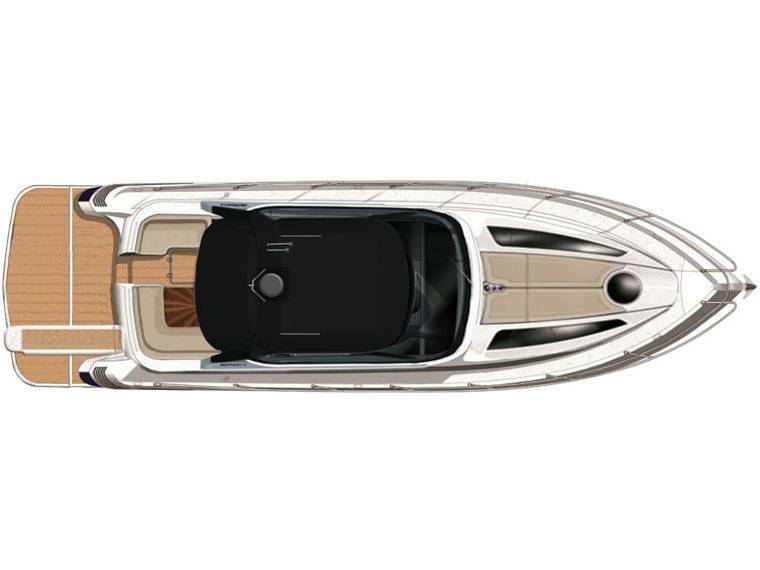 The retractable hardtop easily converts the spacious cockpit from a cozy retreat to an open experience in seconds, allowing it to quickly adapt to all weather conditions. 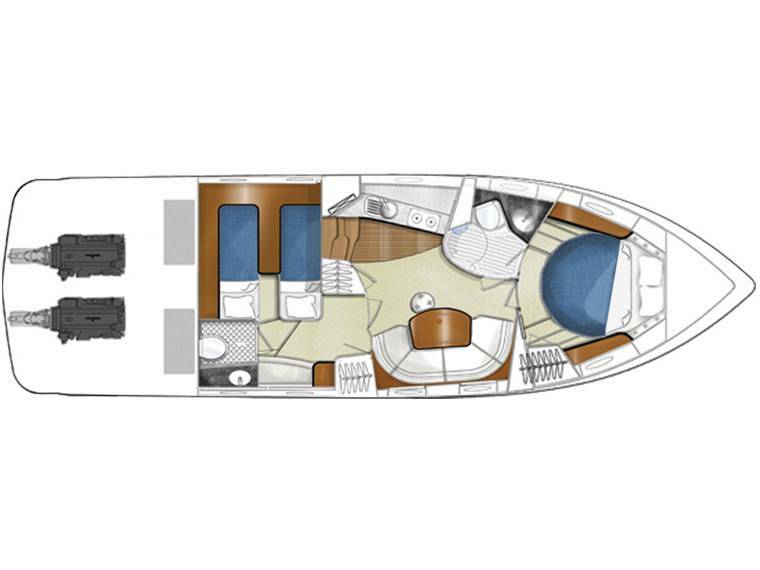 The cockpit seating easily accommodates six people whilst providing easy access to the swim platform, side decks and forward sunpad. The comprehensive and ergonomic helm puts the controls and navigation equipment at the helmsman’s fingertips and benefits from the sliding roof. Interior Design. 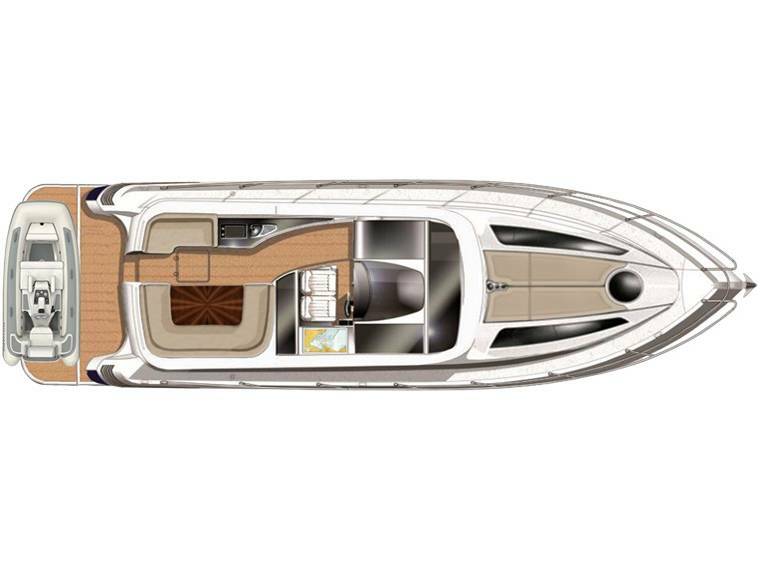 Finished in high gloss American cherry wood and well lit by overhead skylights, the spacious interior of the Focus 44 Power is available in two or three cabin versions, both with standing headroom in all cabins and twin bathrooms. 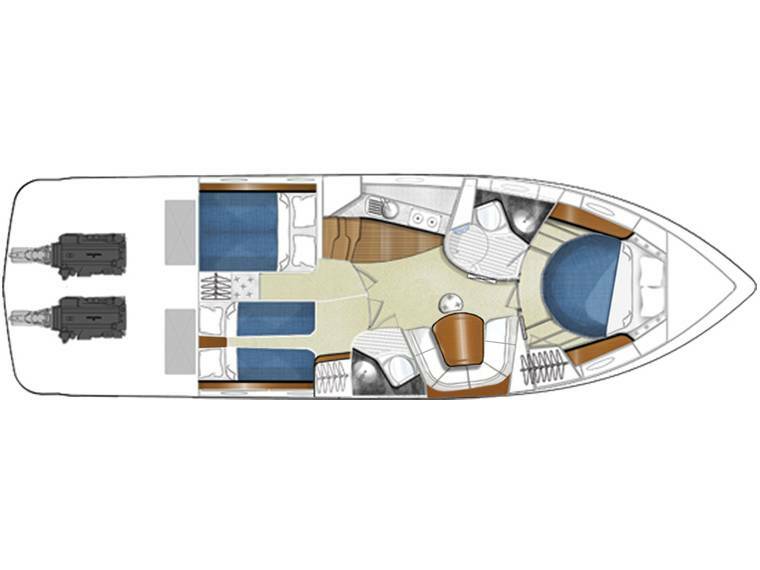 Both layouts incorporate a large dinette with seating for six and a well equipped galley with high end Kerrock counter tops. The ensuite master cabin features a king-sized double bed.